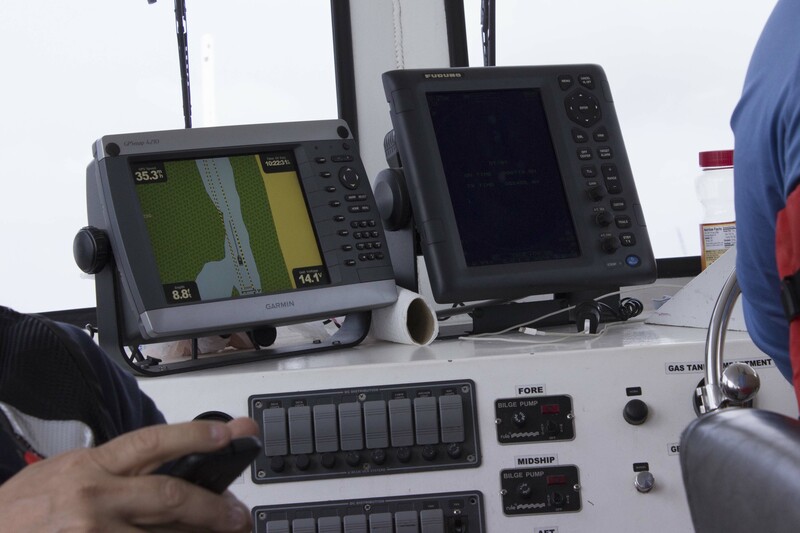 In the small metal cabin of a motorboat off the southeast coast of Louisiana, a computer monitor displays a map of the surrounding area. According to the map, the boat is threading a canal – a thin strip of blue in a vast expanse of green – but the view outside the window tells a different story. Where there was green on the map, there is only water stretching to the horizon, punctuated by bamboo rods marking the location of oyster fields. The boat’s monitor isn’t broken – the map is just old. Since the 1930s, nearly 2,000 square miles of Louisiana’s coastal marshes and barrier islands have been swallowed by the sea, according to the U.S. Geological Survey, leaving towns along the coast vulnerable to dangerous hurricane storm surges. “It’s kind of a slow motion disaster,” said Chuck Perrodin, a spokesman for the state Coastal Protection and Restoration Authority. Now, the state is spending more than $50 billion on more than 100 projects in a bid to restore its disappearing coast. The crux of the problem is sand. Subsidence is a natural geologic process, so new sediment is constantly needed to replenish land as it sinks. 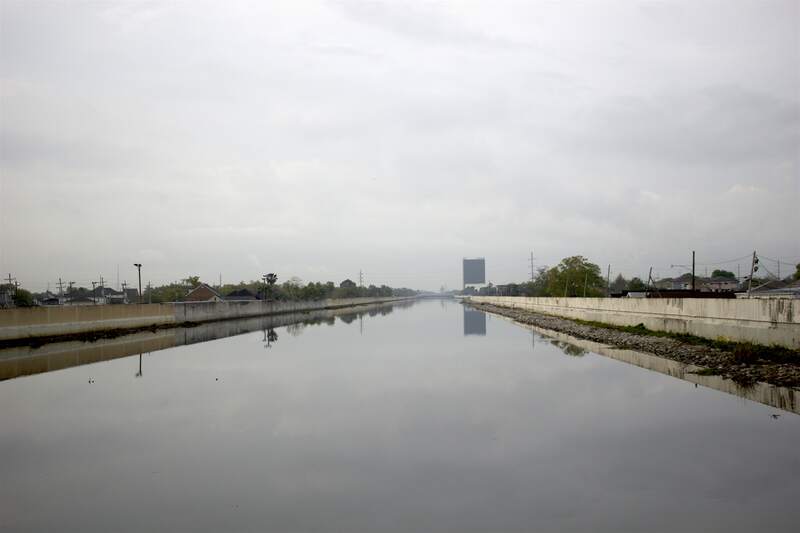 Perrodin said this new sediment used to come from the seasonal flooding of the Mississippi River, but since levees were installed along the river to protect human settlements along its banks, it has been effectively cut off from the coast. That means the state is losing land at an alarming rate. 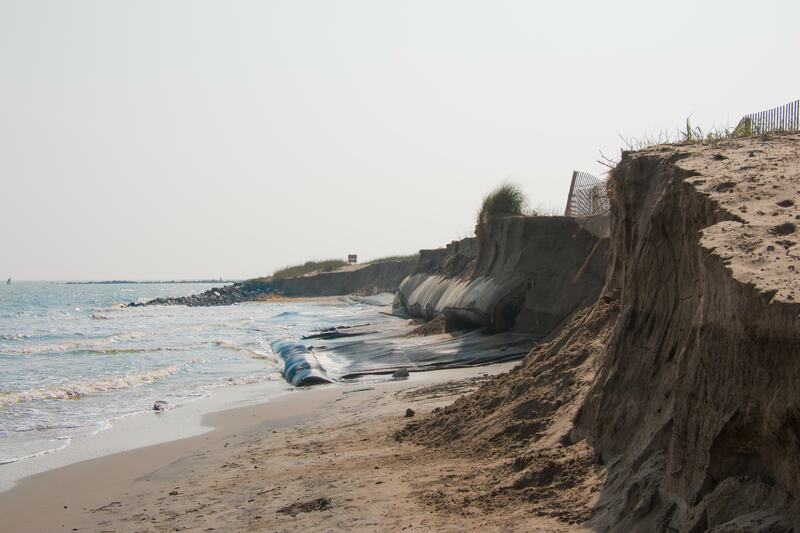 On the southwest end of Grand Isle, the erosion is visible. Barriers, composed of sand in plastic liners, were placed to hold back the ocean but natural forces have just been too powerful. “The land we’ve lost is like losing the five boroughs of New York City every thirteen years over and over and over since the 1930s,” Perrodin said. This land loss comes as a combination of barrier islands – narrow island chains formed by deposited sediment – and coastal wetlands. There is, perhaps, no better place to examine the impacts of these changes in Louisiana’s landscape than Grand Isle. This 7.8 square-mile island off the southeast coast of Louisiana is the only inhabited barrier island in the state with a year-round population of about 1,300 people, according to the U.S. Census Bureau. Wayne Keller, executive director of the Grand Isle Port Commission, said he’s seen land around the island disappear in his lifetime. For miles out to Grand Isle, Louisiana Highway 1 sits mere feet above the water, which, for much of the drive, is spotted only sparsely by land. Keller said as the land subsides and erodes, saltwater from the ocean is able to flow inland and wreak havoc on plant life, like centuries old oak trees and wetland cattails and reeds. Pastor John Boss of the First Baptist Church of Grand Isle grew up on the island. 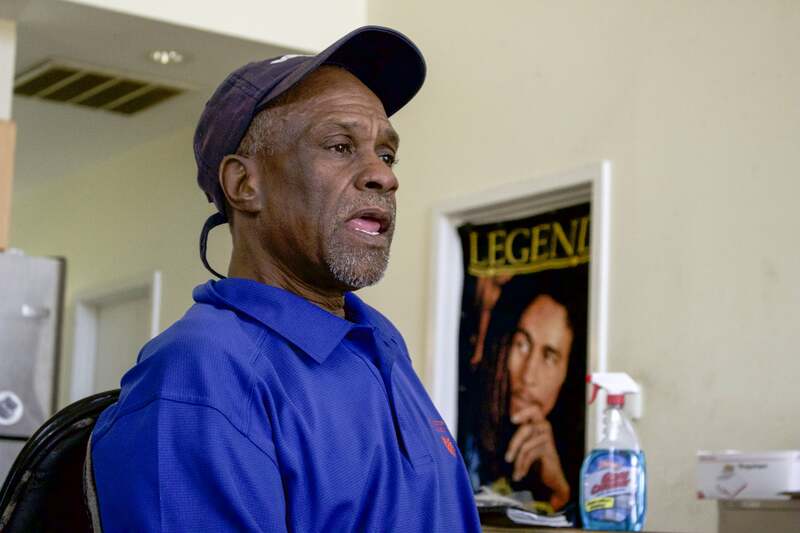 He remembers when there were oak trees by the shore, before they were killed by saltwater intrusion caused both by rising sea levels and sinking wetlands that no longer receive sediment from the Mississippi River. Pastor John Boss of the First Baptist Church of Grand Isle said he remembers stringing up hammocks between oak trees when he grew up on the island. But the Louisiana coast is facing bigger problems as barrier islands and marshes shrink. “They provide hurricane protection,” said Chris Allen, a project manager for CPRA. For centuries, barrier islands have buffered the coast from the powerful water surges created by offshore hurricanes. 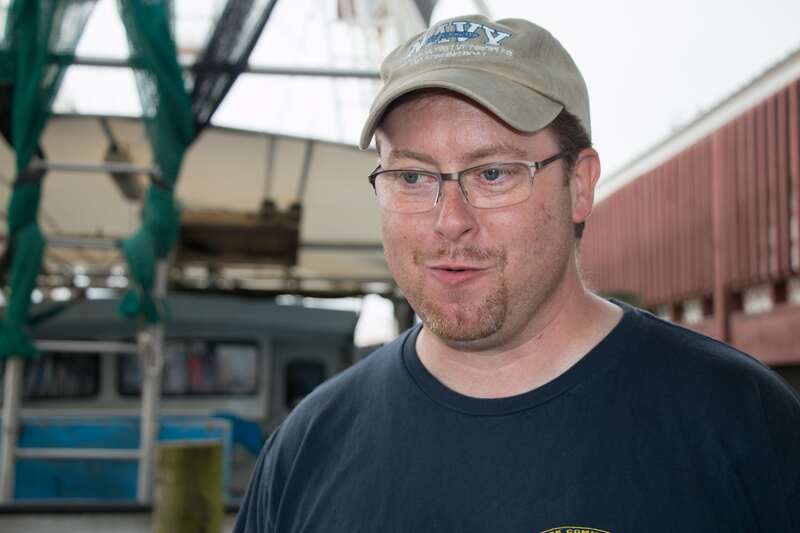 “When you get the storm surge from a hurricane, it used to hit the barrier islands, and then you had 7, 8, ten, twelve miles of land and marsh before it got to populated centers,” Perrodin said. But as the land has receded, so has that buffer, leaving places like Grand Isle vulnerable to devastating floods during hurricanes. But Keller said despite everything, he has no plans to leave Grand Isle. “As long as I can hold on, I’m going to hold on,” he said. In recent years, several storms, including Hurricane Katrina, have devastated parts of Grand Isle. 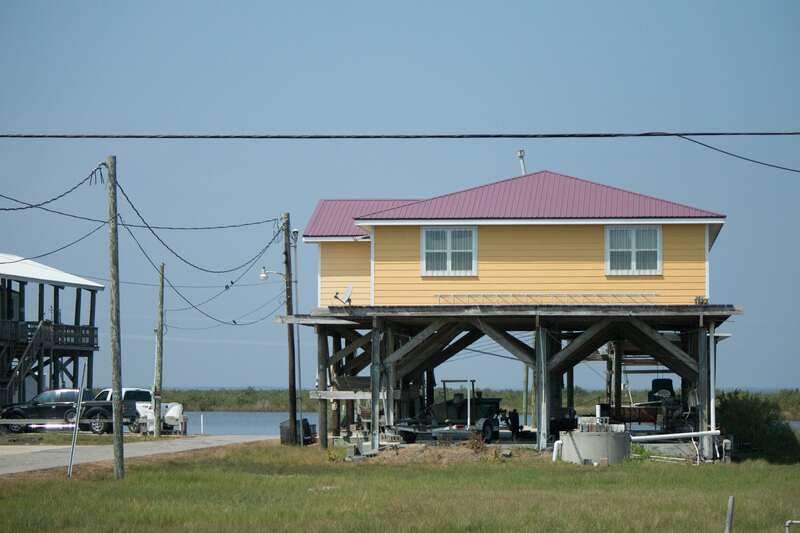 Most of the houses on Grand Isle are raised up on tall stilts to prevent flooding in the event of a hurricane. Grand Isle, a mecca for vacationers, is the only inhabited barrier island in Louisiana. Many of the houses adjacent to the main road running the length of the island are newly built, their predecessors swept away by powerful storm surge. 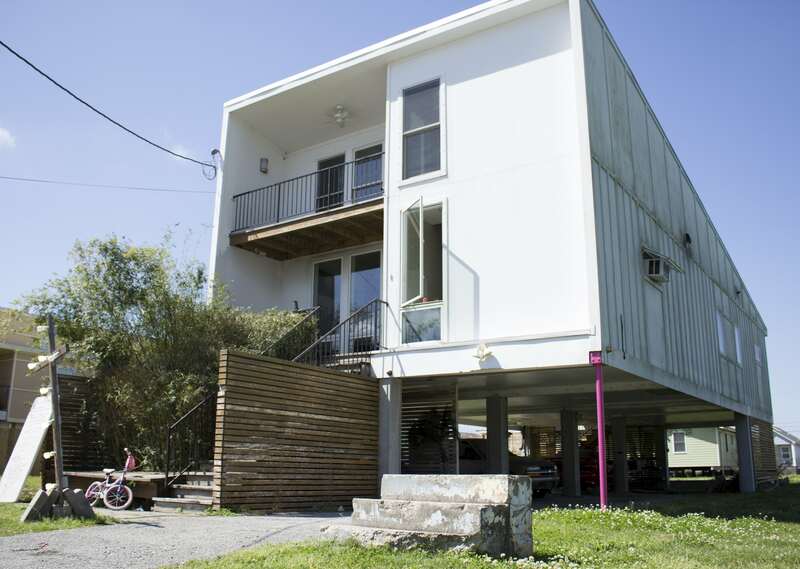 Nearly all of the pastel-colored homes on the island are raised up on stilts – some as high as 15 feet in the air – to provide some protection from flood damage. 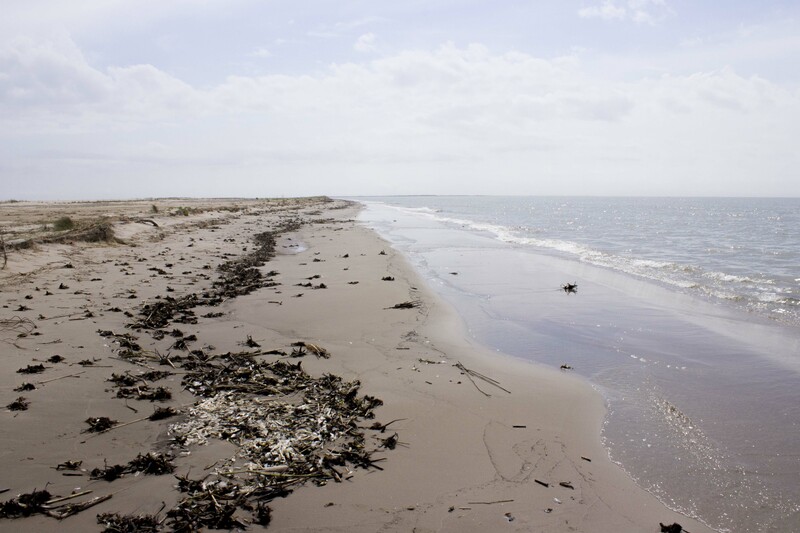 It’s preparation for the more immediate danger of hurricanes, but in the long term, Grand Isle will have to deal with the “slow motion disaster” facing barrier islands all along the coast – subsidence and erosion. “If you look at subsidence and all the rest, you could say 50 years from now we’re really going to be in trouble,” Keller said. Keller said Grand Isle will do its best to keep up with constant erosion. “You know everything is gradual, and hopefully the worse it gets, the more money and projects there will be to help stabilize it,” he said. Already, the state is spending billions of dollars to preserve land and towns along the coast. The 2012 Coastal Master Plan, with a price tag of $50 billion, provides for coastal restoration efforts including redirecting water from the Mississippi River to bring sediment to the gulf, and pumping tons of sand from the river to the ocean to reconstruct sunken islands. Some of these projects are massive in scope. 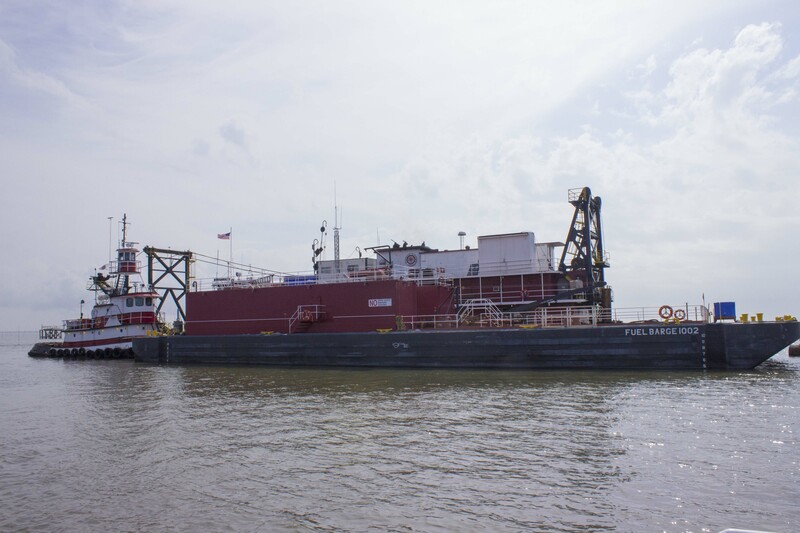 On Shell Island in Plaquemines Parish, Great Lakes Dredge and Dock Co. is working with the state coastal restoration authority to restore more than 300 acres of island with sediment from the Mississippi River. The edge of Shell Island slopes up into a dune. Before restoration, the island was only two feet above sea level, but now some areas rise more than ten feet above the ocean. Similar projects are underway across the state, from Whiskey Island in the west to the $60.8 million Scofield Island restoration in the east. But projects like this aren’t a permanent fix. “We have no illusions that we’re just going to be able to do this one time and then walk away,” Perrodin said. Allen said the new Shell Island, which is projected to cost $47.7 million, is expected to be around for 20 years, but after that, its future is uncertain. Other restorative measures exist. 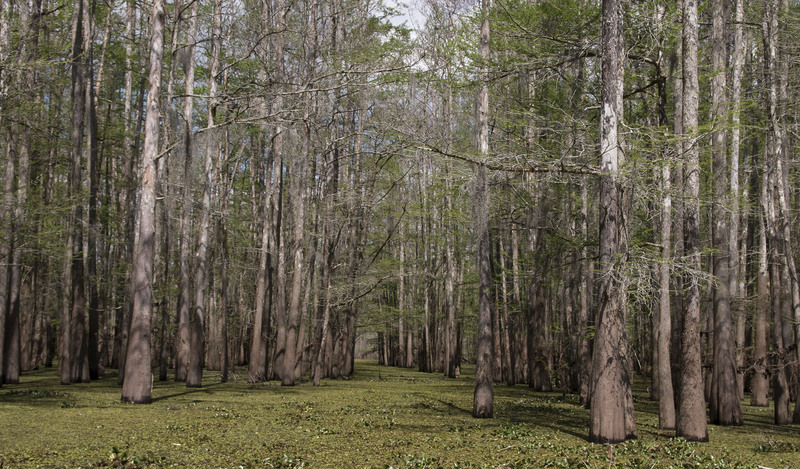 Diverting water and sediment from the Mississippi River into the gulf could help sustain the area, but ultimately, the fate of coastal marshes and barrier islands in Louisiana remains uncertain. A monitor in the cockpit of a boat heading towards Shell Island on the Louisiana shore shows the boat in a small canal. But outside the window, there is only open water. Once this was a vast wetlands. “A couple hundred years from now, unless they come up with some new technology, it’s going to be hard to keep up,” Keller said. On half of Shell Island, the ground is thick with mud. A pipe cuts across the muck, ending at an open spout from which thousands of cubic yards of sand slurry spew each minute. On the other side of the island, fine sand slopes up from the sea, forming dunes topped with grasses and reeds. The beach is littered with backhoes, bulldozers and other traces of the massive public works project to rebuild the sunken island and fight statewide coastal subsidence. But a look offshore back toward mainland Louisiana shows something different – something that can be seen across the state’s coast: open ocean where there once was land.